Senior living providers spend a lot of time and resources thinking about their residents’ first and last days, and for good reason. But those companies are remiss if they don’t also focus on their employees’ first and last days. That’s because those two days — the day when a new hire comes aboard, and the day they end their employment — are among the two most important days in a worker’s time with a company. What a senior living provider does during these two moments can affect retention, turnover and morale among both other staffers and residents. More generally, senior living companies across the U.S. have long pondered how to best to recruit and retain new employees. 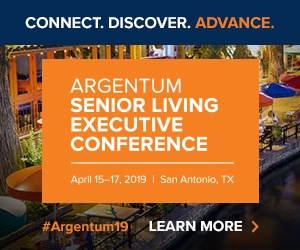 The senior living industry must add more than a million additional workers by 2025, including by filling 900,000 positions left vacant by turnover, according to 2016 projections from industry association Argentum. And doing so could help save money and boost occupancy: a recent white paper from Argentum and consultancy Great Place to Work showed that a hypothetical regional senior living operator with 1,500 employees and 20 communities stands to save $4.4 million annually and boost its occupancy by 2% just by increasing its employee retention by 10%. A strong focus on first days and last days can help a provider achieve that significant savings. For a worker to have an outstanding first day on the job, a senior living company needs to lay they groundwork in advance, according to Peter Corless, executive vice president of enterprise development with OnShift, a company that provides senior living workforce software and services. Along that line of thinking, it’s a good idea to at least send any new hire a letter thanking them for starting and reminding them what to bring or think about on their first day. Depending on the new hire’s position, employers could also send along a small gift, such as a fruit basket or an article of clothing with the company’s logo on it. An employee’s first day shouldn’t involve a ton of paperwork or mind-numbing orientation videos because that can lead to boredom or indifference. Instead, employers should find ways to engage their new hires on the very first day. At Commonwealth Senior Living, a Charlottesville, Virginia-based operator with 22 communities in the state, all new associates start by going through an orientation program dubbed “Jump Start.” It’s Commonwealth’s belief that a quality orientation program can reduce turnover and, in turn, save a senior living community thousands of dollars. During that onboarding process, every new associate gets to meet their community’s department heads, eat a meal surrounded by residents in the dining room and generally get a lay of the land, according to Tommy Comer, chief human resource officer for Commonwealth Senior Living. And making a good first impression pays off — literally. Commonwealth estimates that it costs $4,000 to $5,000 extra for every employee that leaves and needs to be replaced with a new hire. And, that total is exacerbated if the employee leaves in the first 90 days of their employment, Comer said. Mentorship is another tool senior living providers can use to give new employees purpose, according to Jan Roth, vice president of talent resources for Christian Living Communities (CLC) and its third-party management arm, Cappella Living Solutions. The Greenwood Village, Colorado-based nonprofit senior housing owner-operator currently owns and manages 14 communities spread across four states. “A mentor can be a fabulous CNA who’s been trained to hold their hand during that first day on the job,” Roth said. That mentorship doesn’t need to come from a fellow employee, either. Sometimes, as in the case of employees involved with CLC’s “Keepers Committee” program at its Holly Creek community in Denver, it can come from the residents themselves. Once a month, 10 Holly Creek residents meet with the same number of non-supervisorial staffers for an hour. The group is aimed at enabling residents to help solve internal challenges such as employee turnover. At CLC, employees also take part in “Touch Points,” which are intentional, scripted meetings between workers and their managers over an initial 12-month period. The program includes honest conversations, cash incentives and personal notes from residents to help focus and encourage workers during their first year on the job. The stark reality of any workplace is that some employees will leave, and there’s nothing that can be done about it. Better opportunities elsewhere, career changes and major family decisions can lure even loyal employees away from their longtime jobs. What matters is that senior living providers take the departure in stride, and learn how to bid even their best workers goodbye in a dignified, respectful way. Keeping things upbeat as an employee walks out the door might entice them to come back in the future, Comer said. Commonwealth typically uses a third-party service to conduct exit surveys any time an employee leaves. But, that’s not the only time they check in with employees. The senior living provider also conducts frequent “stay interviews” to take the pulse of its workforce. A typical stay interview takes about 10 minutes to complete, and includes question topics such as what would make an employee leave or how they feel about their manager. But the provider also works in some fun questions, such as whether employees would prefer to live at the beach or in the mountains or what their fantasy superpower would be. CLC also instructs its managers to keep the exit process upbeat — and it holds an understanding that not every goodbye is final. This approach helps CLC rehire some its former employees who left on good terms. The nonprofit sometimes reaches out to former employees with letters and small gifts in the hopes they might walk back through the door. While turnover can be a hard subject to discuss with residents or other employees, it’s not one employers should sweep under the rug, either.